I picked up this book a while back and I am so glad I did. It didn’t take me very long to figure out why it’s a best seller. It really is an awesome novel. Scott Wolfe, a computer geek, security specialist and average Joe, finds himself knee deep in a quagmire of kidnapping, organized crime, murder, and international espionage when his ex-girlfriend is kidnapped abroad. Instead of fiddle-farting around and waiting for the CIA to find her, Scott Wolfe avoids them altogether, and with the help of some old friends and a gorgeous new friend, he sets out to find her himself. This book rolls like a locomotive. Once it gets moving, it’s fast and non stop and all you can do is hold on and enjoy the ride. I loved the detail Shelton put into this story and am very impressed with his computer, military, and geographical knowledge. All of these things along with the ability to weave a fantastic plot, enhance the story and make this book a great thriller. The characters feel real and are well developed, even the mysterious heroine. The switch from first person to third person is difficult to pull off, but it worked quite well for this story and the author did a fantastic job. I really enjoyed this book and plan to continue reading the series to find out what happens next. Overall, Waking Wolfe is my top read of 2015. You can learn more about S.L. Sheldon on his blog. You can also find his books on his Amazon author page. Once alive, I now hang dead and blackened from your weary shoulders. You covet my warmth, yet your heat permeates my every fiber. Peeled away from my life-giving blood, my once supple skin is now toughened and cold. But I envelope you, protecting you from the storms that surround you. You pull me close, until the unyielding heat creeps between our skins. Your body burns and you shrug me away. You discard me, pushing me into the darkness, but I wait. A chill will prick at your senses, your storms will return, and I shall press my skin against yours, and comfort you once more. If you like this post, give me a like below. In a rage, Pete Denning commits an unspeakable act while in a desperate attempt to keep that which he loves –his son. But eliminating his problem doesn’t solve anything. It only breeds and nurtures his worst nightmare. I’ve read Deadfall Lane twice and yes, it is that good. It is a very short story that took me only about twenty minutes to read. Finn weaves a chilling and gripping tale that left me thinking about it long after I finished reading it. This story has it all: love, hate, rejection, betrayal, murder and a deep, heavy creep factor to hold it all together. Finn is an excellent author and I’ve read a few of his other stories, such as No Such Thing as Monsters and Stones. All are beautifully written and I recommend any one of Israel Finn stories. If you have a few spare moments and want to fill them with something great to read, grab one. Deadfall Lane gets 5 stars. You can find all of Israel Finn books on his author page at Amazon. 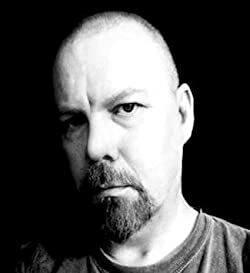 Israel Finn is a horror, dark fantasy, and speculative fiction writer, and a winner of the 80th Annual Writer’s Digest Short Story Competition. He’s had a life-long love affair with books, and was weaned on authors like Kurt Vonnegut, Ray Bradbury, Richard Matheson, Arthur C. Clarke and H.G. Wells. Books were always strewn everywhere about the big white house in Indiana where he grew up. He loves literary works (Dickens and Twain, for instance), but his main fascination lies in the fantastic and the macabre, probably because he was so heavily exposed to it early on. Later he discovered Robert McCammon, Dean Koontz, F. Paul Wilson, Dan Simmons, Ramsey Campbell, and (God help us, everyone) Stephen Edwin King, as well as several others, and the die was indelibly cast. Right now he lives with his wife in southern California.